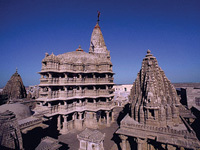 Ahmedabad, Bhavnagar, Sasangir, Diu - Gujarat offers breathtaking locations and scenic landscapes. 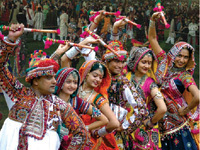 It is also a melting pot of several civilizations resulting in a vibrant culture and a rich heritage. 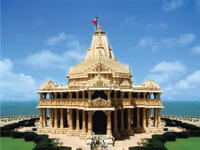 Gujarat is home to several architectural marvels, witnesses of its glorious history and pilgrim centers for many faiths. 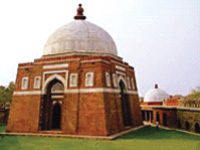 Finally, it is also the land of several mythological & historical figures like the legendary Krishna and Mahatma Gandhi, the apostle of non-violence. 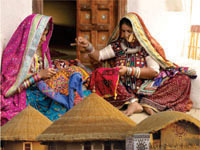 Welcome to "The Colors of Gujarat" tour! 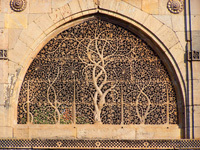 On arrival at the Ahmedabad airport or Ahmedabad railway station (on your own), you will be transferred to your hotel. 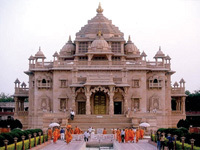 In the afternoon you will proceed on a half day city tour of Ahmedabad visiting Gandhi Ashram, Calico Museum, Utensils Museum, the Jami Mosque and finally Akshardham which is dedicated to Lord Swaminarayan. 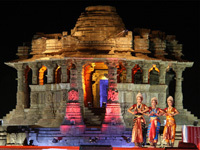 This morning proceed on an excursion to the Sun Temple at Modhera that dates back to the early 11th century. This temple has been designed in such a way that the Sun's rays illuminate the sanctum at dawn, during the time of the equinoxes. 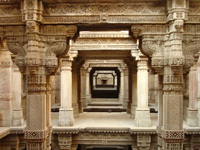 En route visit Patan that has over 100 Jain temples; the most important being the Mahavir Swami Derasar in Dhandherwad with an exquisitely carved wooden dome and the other being the Rani ki Vav, an excellent example of subterranean architecture of Gujarat. 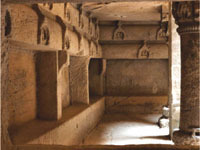 This morning, you will drive to Bhavnagar via Lothal (87 Kms + 145 Kms) visiting the Lothal Harappan archeological site. 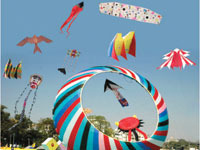 On arrival in Bhavnagar, you will check into your hotel. 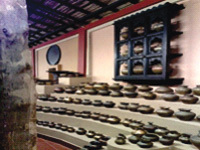 The rest of the day is free to explore the local Bazaar. This morning you will visit the temples of Palitana located a top Shatrunjaya and crowned with over 900 temples, each rivaling the other for its beauty and magnificence and presenting an awe-inspiring spectacle to devotees and visitors. The peak is a 3 Ã‚Â½ km climb of over 3500 steps from the town, while on each temple one can see detailed carvings, beautiful idols and images, jeweled statues and intricate toranas. The sunrise from behind the temples is a great sight. 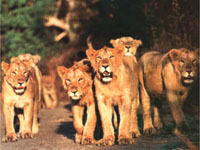 This morning proceed to Sasangir, home to the Asiatic Lion. On arrival check into your hotel. The rest of the day is at leisure to enjoy the facilities within the hotel. 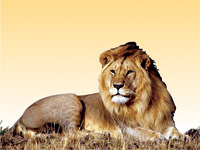 Today, you will visit the Gir sanctuary - 11,412 sq km, a hilly tract of mixed dry deciduous and teak forests interspersed with grasslands and home to the Asiatic Lion. 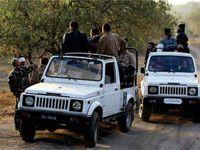 One can also spot leopards and other animals like the Chital, Sambar, Nilgai, Nhausingha, Grey Langur, Hyena and birds like the painted Sand grouse, peacocks and paradise fly catchers. 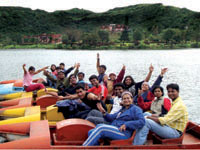 The Kamleshwar dam reservoir is habitat to the crocodiles. (The park is closed between 15th June - 15th October). Today your journey takes you to the beach town of Diu. Check into your hotel on arrival. The day is at leisure to laze and relax on the beach. The morning is at leisure to enjoy the Nagoya beach located in the Nagoya hamlet. The horseshoe beach is exceptionally beautiful and quiet and a wide variety of water sports facilities are available here (water sport activities on direct payment). 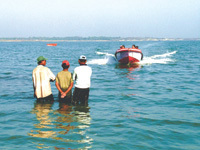 Later, you will proceed on a city tour visiting St. Paul's Church, Diu Museum and the Diu Fort. 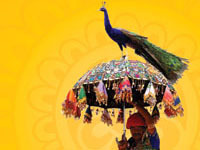 Today bid farewell to "The Colors of Gujarat" tour, as you are transferred to the railway station in Veraval (approx. 90 kms drive), to continue your onward journey. 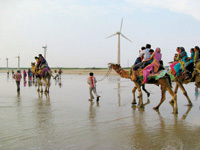 Gujarat tourism packages, Gujarat tour itinerary, Gujarat Tour plan at Mystic Gujarat. 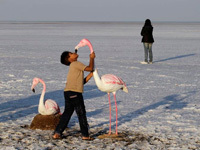 Plan exotic and customized Gujarat holidays, Email us at info@mysticgujarat.com or Dial Toll free no at 1800-532-2002. Note :- We value and welcome any suggestions you may wish to share with us.